Environmental activist and academic Kavous Seyed-Emami was buried this week in Iran. According to the Iranian authorities, he had committed suicide in Evin prison after two weeks in detention, during which he had been denied visitation with his family and access to an attorney. According to reports, authorities refused to allow for an independent autopsy of his body. Mr. Seyed-Emami, an Iranian-Canadian dual citizen, was one of the founders of the Persian Wildlife Heritage Foundation, which aims to protect Iran’s wildlife. He was arrested and transferred to Tehran’s notorious Evin Prison last month. According to a statement published by Mr. Seyed-Emami’s son, his family was threatened by Iranian authorities and told that speaking to the media about their father’s arrest would cause him more harm. Within two weeks time, the authorities informed Mr. Seyed-Emami’s family that he had committed suicide. Several other members of the Persian Wildlife Heritage Foundation remain in jail. 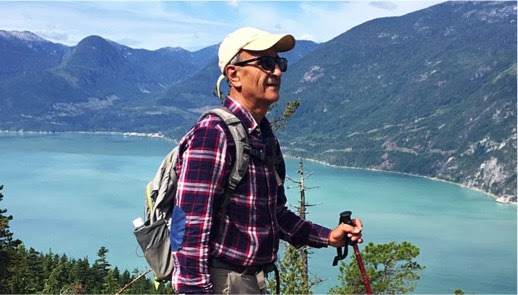 “We call on the Canadian government, and the international community at large, to duly pressure the Iranian government to allow for an independent investigation into Mr. Seyed-Emami’s death, and the arrests of other environmental activists,” said Firuzeh Mahmoudi. Kavous Seyed-Emami’s death is the third death in detention that the Iranian authorities are declaring to be a suicide ‌since December 2017. A fourth death, also in detention, remains unexplained by the authorities. United for Iran has documented the treatment of political prisoners in Iran Prison Atlas (IPA) for the past 6 years. According to the IPA, there are at least 692 political prisoners behind bars in Iran today.